Why Do I only Get Carmen? How to Get Free Gems in Westworld? What Roles are the Hosts Good at? What is The Critical Analysis Room For? How Do I Progress in Westworld? How Do I Get New Hosts? 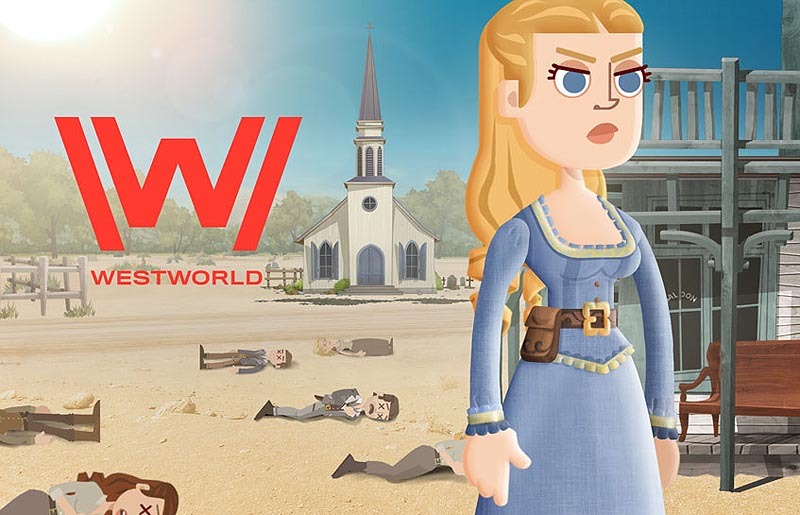 Westworld is a game designed to simulate the inner workings of Delos Park - tailored to fit every inch of detail that the fans of the series, loved from the original HBO series. For those that never followed the series, it revolves on a story where people in the future can visit a wild-west themed park - occupied by human-like Hosts that can be maltreated to their hearts desire without any consequences. In the game, you'll fill in as a newly hired employee that is mainly tasked to oversee the growth of the whole facility. Similar to the series, the very control room of the entire operation lies underneath the whole theme park. Similar to the general idea of the series too, what you're task to do is to cater your guests -- making sure that you give them the right Hosts to entertain them. 1. Overseeing the park's operation - building of additional theme park facilities (like saloon, bank, etc.) and matching guests with your available Hosts. 2. Tweaking and Upgrading Hosts - in order to satisfy your guests, you can constantly tweak your hosts to perform at their best capacity. 3. Obtain better Hosts - to meet with the increasing demand of brutality and what not, you'll have to constantly obtain new codes to create better and more entertaining hosts. 4. Upgrading the control room - to earn actual progress in the game, you'll have to build expansions in the control room itself to unlock the game's content like new types of guests, new codes for Hosts, new theme park buildings, etc. Basically though, what you'll have to do is just to satisfy your guests by making sure the Hosts that entertains them are fit to each of the guests pertaining requirements. When a host successfully fulfills his or her perceived task, the guest will be satisfied - which will reward you with different things to help you progress further in the game in return (like more Host Codes, and/or some in-game resources). During your first few minutes in the game, you'll undergo a Tutorial phase to give you a better understanding of the basics of the game. In this guide, we'll provide essential information to recall that the things that will count most, and help you with Tips and Hints to get you progress faster in the game. Welcome to the guide!